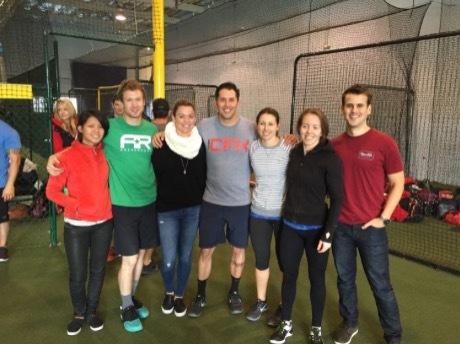 Congratulations to "The Swipe Rights" - our Arena Ready four-person team - who finished 12th overall on Sunday at the lululemon athletica Throwdown in Corte Madera. David C, Jon, Megan, and Kate (or, as we know them, Coppertop, Inferno, Dickey, and Flying Squirrel) banded together to attack some nasty WODs which included Assault Bikes, sandbag thrusters, burpees, sandball swings, box jumps, wall balls, and sandbag "Grace." Ouch. 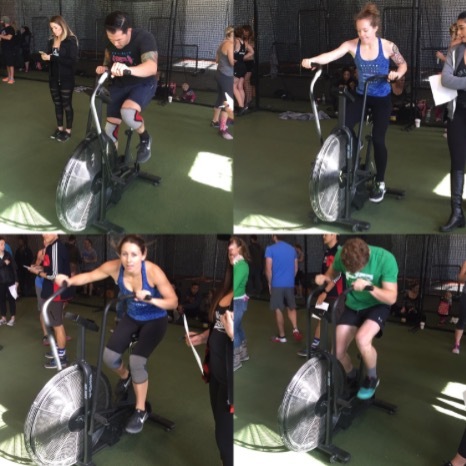 This was Megan's first ever functional fitness team competition, and the former collegiate soccer player looks to have had a grand ole' time with her teammates competitively exercising. Give these folks a high five for a job well done when you see them in the gym - or swipe right when you peep them on Tinder (are any of them even on Tinder?!). Nice work, team! "The Swipe Rights" and their entourage, including the always fashionable Coach Sparkle. Megan looks like she's having a blast. 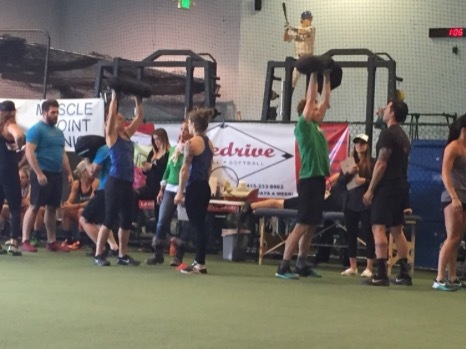 Sandbag thrusters = the worst time of your life a party!